Welcome to Vice City Having just made it back onto the streets of Liberty City after a long stretch in maximum security, Tommy Vercetti is sent to Vice City by his old boss, Sonny Forelli. They were understandably nervous about his re-appearance in Liberty City, so a trip down south seemed like a good idea. But all does not go smoothly upon his arrival in the glamorous, hedonistic metropolis of Vice City. He's set up and is left with no money and no merchandise. Sonny wants his money back, but the biker gangs, Cuban gangsters, and corrupt politicians stand in his way. Most of Vice City seems to want Tommy dead. His only answer is to fight back and take over the city himself.From the decade of big hair, excess and pastel suits comes a story of one man's rise to the top of the criminal pile as Grand Theft Auto returns to the PlayStation®2 computer entertainment system this October. Vice City is a huge urban sprawl ranging from the beach to the swamps and the glitz to the ghetto, and is the most varied, complete and alive digital city ever created. Combining non-linear gameplay with a character driven narrative, you arrive in a town brimming with delights and degradation and are given the opportunity to take it over as you choose.As a major gateway to South America and the Caribbean and attracting migrants, Vice City is brimming with diverse characters, so there's a friend for everyone. It is a sociable place and the new guy in town is sure to meet all manner of friendly people in the sunshine capital of America. Athletes, pop stars, real estate developers, politicians, trailer trash, everyone is moving to Vice City to find out what makes it the number one growth city in America. But, as Tommy quickly finds out, trust is still the rarest of commodities.Vice City offers vehicular pleasures to suit every taste. For the speed enthusiast, there's high-performance cars and motorbikes. For the sportsman, a powerboat or a golf buggy lets you enjoy the great outdoors. For those that need that sense of freedom and escape, why not charter a helicopter and see the beauty of Vice City from the air?As the party capital of America, you would expect your ears to be seduced by a host of sultry melodies and pumping beats, but the city is truly rocking. You'll be AMAZED as you sweep through Vice City's FM dial. If you are feeling like trouble, you can tune into some driving rock, or some crucial electro, or maybe you want to slow down with some sweet soul, and there will always be some great romantic anthems if you want to really take your mind off things.For the action man, or outdoors type, there's tons of fun things to do and adventures to be had… guaranteed. For the secretive or creepy type, Vice City is full of surprises, a place where you'll constantly be surprised by the vivacious, fun-loving types who live there and the things you can discover.Grand Theft Auto: Vice City is the most diverse and ambitious piece of interactive entertainment yet created. The game is developed by Rockstar North and published by Rockstar Games.Grand Theft Auto: Vice City is going to be released for the PlayStation®2 computer entertainment system on October 22, 2002.Rockstar Games Announces Grand Theft Auto: Vice City; Next Installment of Grand Theft Auto Franchise To Hit Streets in October NEW YORK--May 21, 2002--Rockstar Games, the world-renowned publishing division of Take-Two Interactive Software, Inc. (NASDAQ: TTWO), proudly announces Grand Theft Auto: Vice City, the follow-up to the global blockbuster title Grand Theft Auto 3. Grand Theft Auto: Vice City is the latest installment in the gaming franchise that has exceeded 11 million units in total sales to-date. It will be available exclusively for PlayStation(R)2 and is expected to hit retail shelves in the United States on October 22nd. 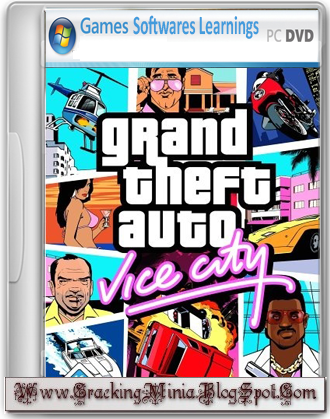 Grand Theft Auto: Vice City will surpass the unprecedented gameplay, cinematic graphics and immersive audio experience that gamers associate with Grand Theft Auto 3, which was released in October 2001 and has rapidly become the fastest selling, highest grossing game for PlayStation(R)2 computer entertainment system to date, with global sales exceeding 6 million units. Rockstar Games will release additional information about the game's content in July, but the following details are clear: It's an entirely new game set in the '80s, the location is Vice City, and the vibe is glamour, power and corruption...Sam Houser, the executive producer of the Grand Theft Auto franchise and president of Rockstar Games, commented, "The success of Grand Theft Auto 3 has made us very proud, but it has also motivated us enormously. The work currently being done by our development and production teams in Edinburgh and New York is going to surpass the efforts of last year, as we set our sights on making an even more revolutionary gaming experience. This will be reflected in the size of the game, the scope of the gameplay, the extent of the gameplayer's freedom, the quality of production value and the all-important sense of style. "Les Benzies, the producer of Grand Theft Auto games, noted, "Although it may appear to be a challenge to develop a game superior to Grand Theft Auto 3, our progress to date on Vice City makes me highly confident that we can deliver a truly innovative game." Kelly Sumner, Take-Two Interactive Software's Chief Executive Officer added, "Grand Theft Auto 3 has become the "must-have" title for PlayStation(R)2 and is appropriately regarded as a landmark in interactive entertainment. We are delighted with the plans for Vice City, and are totally committed to supporting Rockstar's creative efforts and investing in the development and marketing approach that made Grand Theft Auto 3 such a tremendous success." Follow Few Steps. Then You Get This Game. 1)Click on Download Link Button. 3)Enter Password & Wait Some Minutes.